Vehicle to be offered for Auction sale August 16th- 18th, 2012 at Russo and Steele\’s 12th Annual Monterey California Auction. Please contact us for more information. 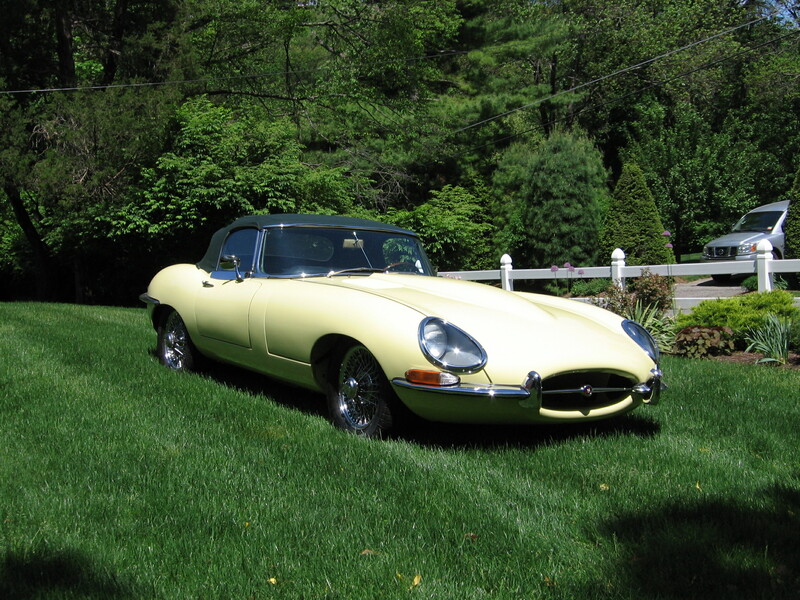 This 1967 Jaguar XK-E was purchased in New Jersey in May of 2001 in driver condition. It is the last of the Series #1 with covered headlights, three SU carburetors and no pollution control equipment. 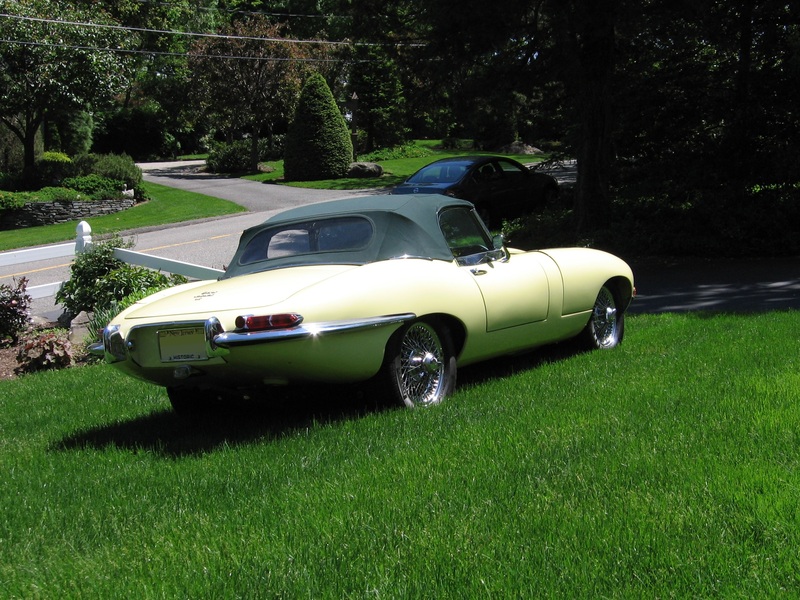 The car was finished in its original color (primrose) with a black top and interior. Subsequent inspection uncovered numerous areas in need of improvement which ultimately resulted in a complete frame-off restoration. 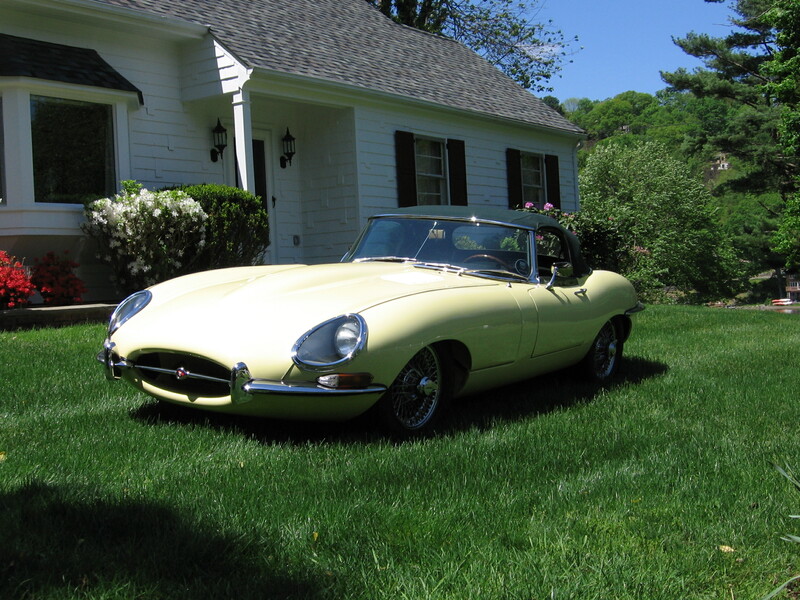 The owner acted as the general contractor, purchasing needed materials from Jaguar specialists S.N.G. Barratt in Manchester, NH; chrome plater D&S Custom Metals, Holyoke, MA; and Eastwood Co. for paint and supplies. Thw mechanical rebuilding and installation of top and interior was done by Motorcraft ltd., East Rutherford, NJ. 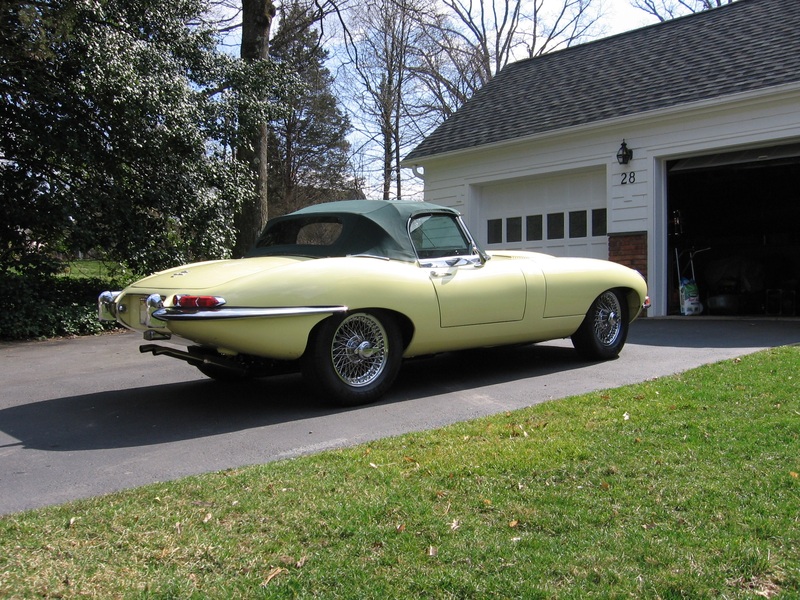 Bodywork, prep and paint was done by Phoenix Rod & Custom, Hacketstown, NJ. Since body panels are inexpensive and body work is not, the lower six inches of the car were cut out and replaced with new panels as well as other sections such as door skins. 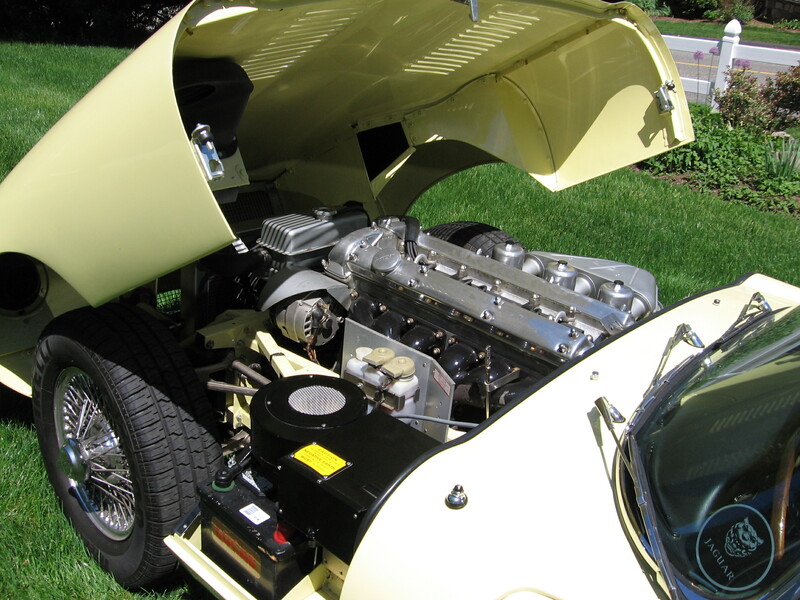 After welding, finishing and prep work, the car was painted in the original primrose color. Motorcraft handled mechanical, electrical and top and interior work, including engine, transmission, differential, suspension, cooling systems, brakes, fuel system, electrical systems (new wiring harness), sub-frame, motor mounts and gauges. 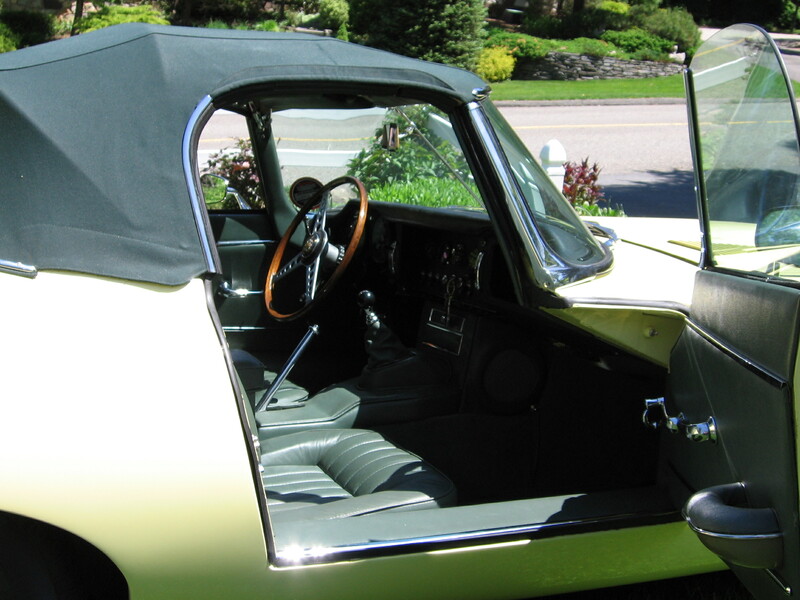 Suede green, a factory option, was chosen as the top and interior color as a break from the traditional primrose and black. The restoration began in late 2001 and was completed in early 2008, and the usual shake-out of such a comprehensive restoration, resulted in a striking XK-E that looks and performs as well or better than new. Apart from the original price of the vehicle, restoration charges amounted to $160K. Detailed receipts are available.